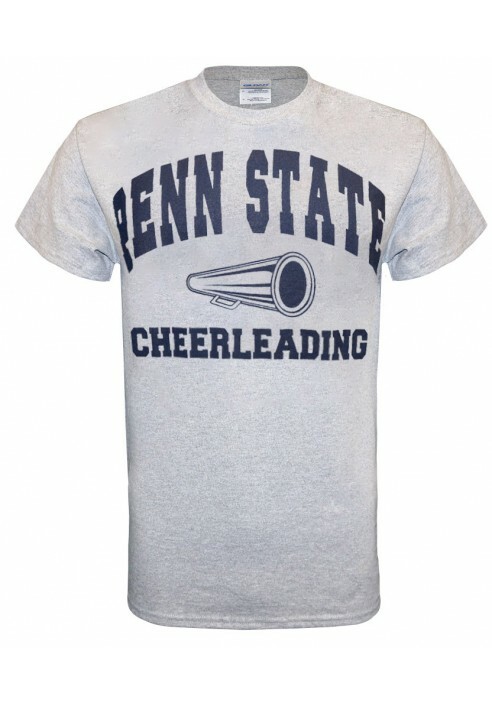 • "Penn State Cheerleading" in block lettering, silkscreened. • Megaphone in center of words. 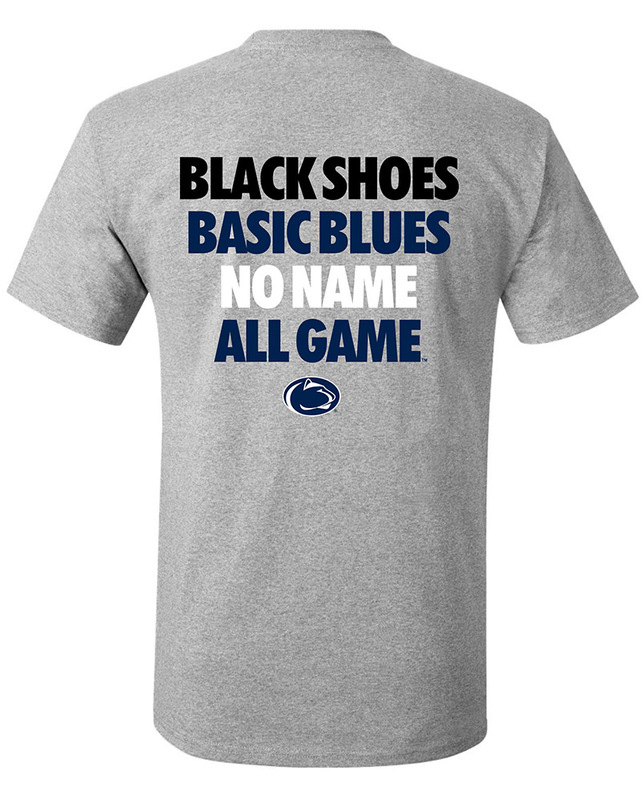 • 90% Cotton, 10% Polyester.